7 Southeast Stark will include four floors of office space above 6 levels of structured parking. The Daily Journal of Commerce looked at construction progress at 7 Southeast Stark, the 10-story mixed use building being squeezed into a parcel between I5 and the Union Pacific railroad tracks*. Plans for a nearby 9 story office building at 129 SE Alder, also designed by Works Progress Architecture for Harsch Properties, have been put on hold. 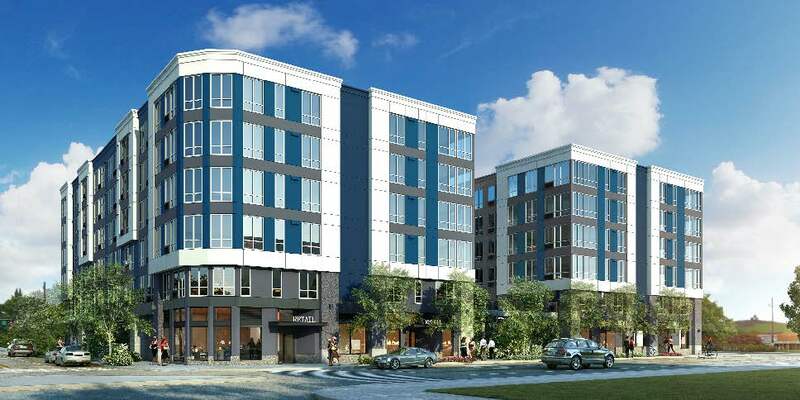 Construction on the Press Blocks will start this month, reports the Oregonian. The first phase of development will include the half block office building, now known as Canvas. Construction on the 23-story tower is expected to start in 2019, however financing has yet to be secured. The Northwest Examiner wrote about the impact of the ethics complaints leveled against Historic Landmarks Commissioner Wendy Chung, over her involvement in the review of the affordable housing development at 1727 NW Hoyt St. The City of Portland is moving to preserve and create new affordable homes near the proposed SW Corridor MAX line, reports the Oregonian. The Daily Journal of Commerce published photos of the progress at the TwentyTwenty Condominiums in Sullivan’s Gulch. Every week, the Bureau of Development Services publishes lists of Early Assistance applications, Land Use Reviews and Building Permits processed in the previous week. We publish the highlights. This post covers December 4th to December 10th, 2017. Future code – Construction of a 13,292 square foot retail pharmacy with parking for 20 vehicles. Current Code – Proposal is for a Type 2 Conditional Use review to remove properties from the boundary (approved through LUR 96-00181 CU) for a future multi-dwelling development. Future code: Proposal is for a new office building, new amenity building, new underground parking garage, right-of-way work; new site work and landscape at existing campus. Current code: Construction of two (2) commercial pad buildings, one with drive-through, 33 vehicular parking stalls, landscaping, and ped walkways/plazas and two (2) accesses to SE Tacoma St. One access is full ingress/egress, the second is drive-through egress only. Site zone will change to R2 under new code. 11 new condos, both existing homes to remain. PLA adjustment may be submitted to separate existing homes from remainder of the site. There is no Type III but applicant still wants to do this as a PC. New core and shell development of 5 story CIP concrete slabs and columns, 5 story steel frame with composite steel floor decks, mixed-use with ground floor industrial service, 6 floors of commercial parking and 4 floors of industrial and traditional office. New 15-story, 160,000 gsf mixed-use residential development with basement parking. 430 NW 5th Ave is a non-contributing site; 416 NW 5th Ave is a contributing site both in New Chinatown/Japantown Historic District. Construction of a 3-story residential apartment building. They are planning to meet community design standards. Proposed 7 story, 117,960sf mixed used industrial office building, with 45 below grade parking spaces. New 3 story apartment building with 10 units. Proposal is to construct 2 new multi-family units (2-3 units in each building). Phase 1 to be duplex. Phase 2 to be a triplex. Existing house to remain. Stormwater disposal to be flow thru planters. Construction of a new mixed-use building (see CO 17-160571). Adjustment to loading standards (33.266.310) needed. For a proposal to rebuild the existing school facilities and parish hall at the St. Thomas More site at SW Humphrey and Greenleaf. 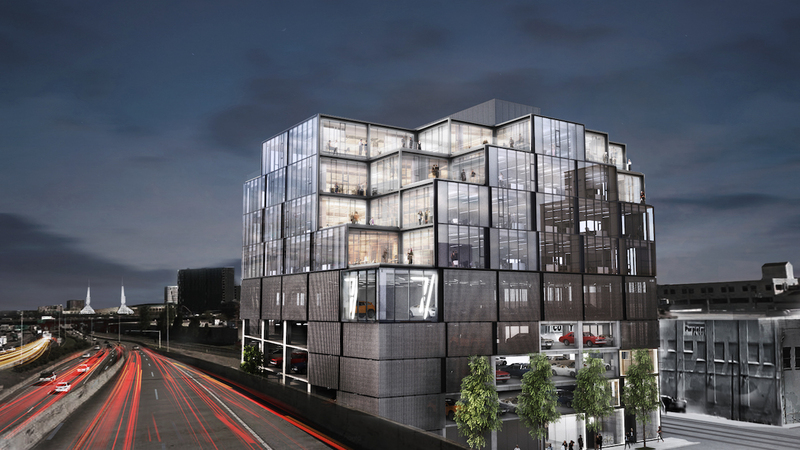 A new 44-space parking structure, with school facilities above, is also proposed. New 4 story mixed use development commercial 1st floor 42 apartments with 18 parking spaces. Proposal is for five buildings with a total of 17 units of residential 1-3 bedroom apartments with eight spaces of off-street parking. Proposal is to construct a new five story parking garage with 250 spaces to support new proposed commercial development at 151 se alder. Existing one story shed to be demolished. Proposal is for construction of a new 13 story hotel and residential development on one/half block site which is currently paved parking.Site will have ground floor retail with two levels of below grade parking; roof will include decks and amenity space. Multi dwelling development of household living use. Ten units total with associated site improvements. ROW improvements and dedications for SW Vermont and SW Idaho streets per separate Public Works Permit. Renovation of existing building to include retail and commercial uses along Sandy Boulevard and development mechanic’s shop into commercial bakery. Existing parking to be converted to amenity space. New construction of five story with mezzanine building with 90 residential units, three retail spaces and 19 surface parking stalls. Construction of a new 10-story mixed-use building with ground floor retail, office space on floors 2-4, and residential units on floors 5-10. 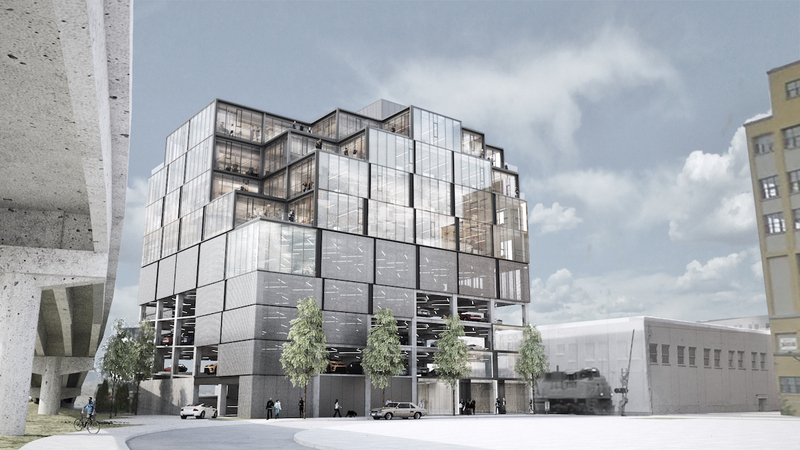 Two levels of below grade parking with 143 spaces proposed – with the garage entrance on NW14th. 11-story residential apartment development over below-grade structured parking. New 5 story, multi-family building with 80 units and ground floor retail (future). Site work includes new parking, circulation paths and landscaping. Core and shell build out of 78,246 SF of 108,066 SF building; 2 exterior steel exit discharge stairs, 1 new exit access stair, new entrance stair and ramp. Add interior walls to create 10 new tenant spaces, lobby area, common restrooms, bike storage area; voluntary seismic upgrade. No occupancy this permit. Separate tenant improvement permits required.